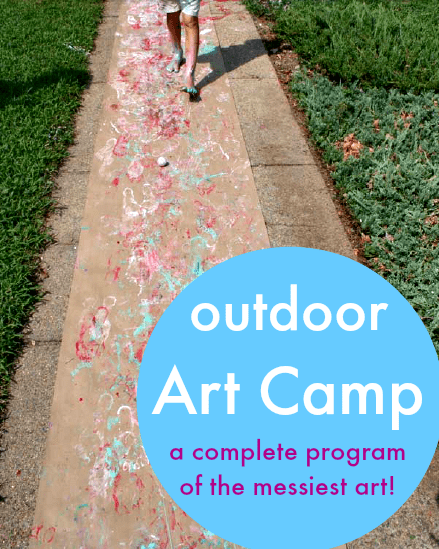 The messiest, most popular program of outdoor and process art to use at home or at school. Welcome to Art Camp! 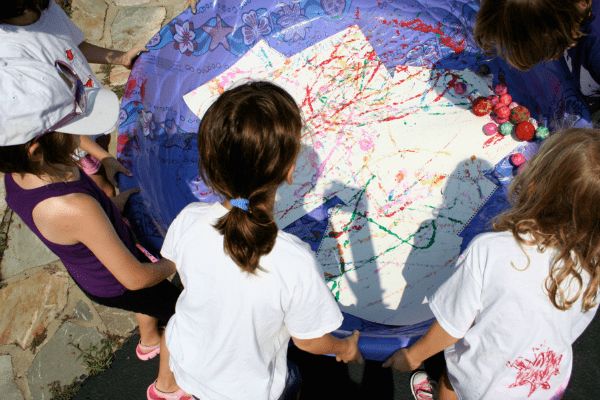 Art Camp gives you all the ideas you need to run a colorful, fun and very messy art camp at home or at school. 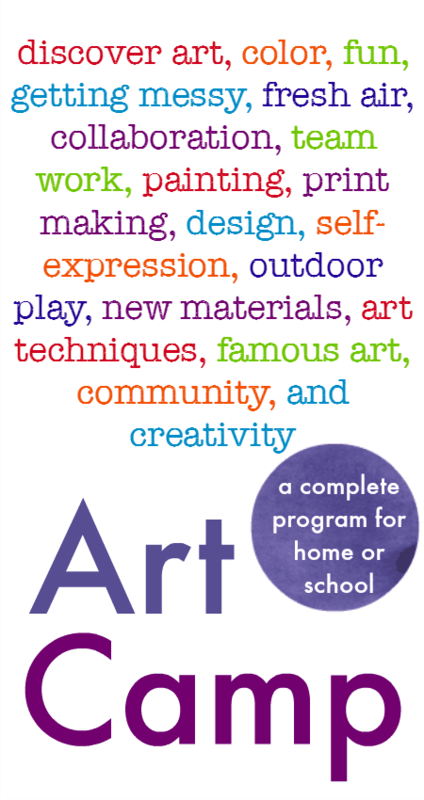 The program is written by MaryLea Harris, an artist, art teacher and mother of two. 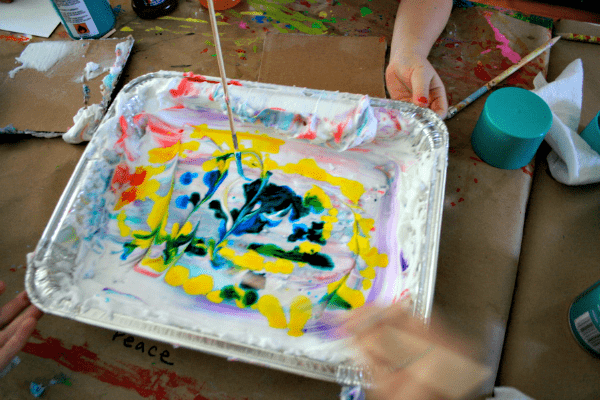 She combines her formal art training with her hands-on work in schools and art camps to create a resource which is easy to do at home or in class, fun, colorful, and which offers a rich arts education experience. :: this complete resource is available for only $10 and you can buy it now here. 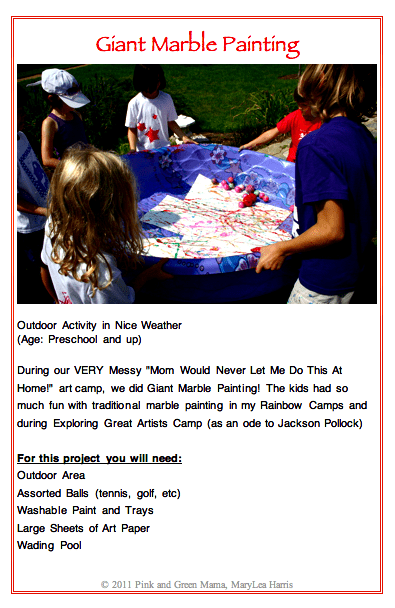 :: projects include: marble painting, swatter art, dribble and drip painting, found object printing, spray murals, shaving cream marbling, tie-dye art, firework art, homemade driveway paint, customised t-shirts, art inspired by Jackson Pollock and Morris Louis. The projects are big, bold, colorful and messy! 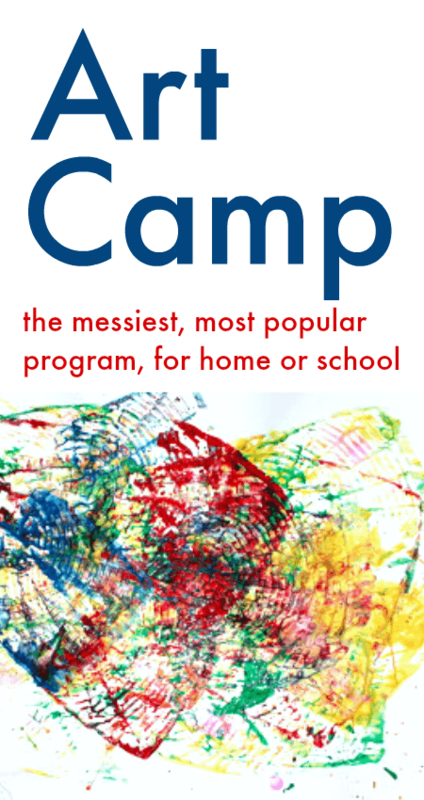 The Art Camp resource is an ebook, which means you will be sent a link that allows you to download a pdf containing the ebook you have purchased. You can save it to your computer or iPad* and then either read on screen or print some/all of the pages, as you prefer. *You can buy the ebook now, on any device, and then download them when you are ready. Depending on the apps you have installed and your operating system, you might be able to download the ebook on your mobile device. However if you have any doubts or problems, I recommend you use a computer to download the ebook and then share then to your mobile devices. You will be sent download instructions when you purchase the ebook. 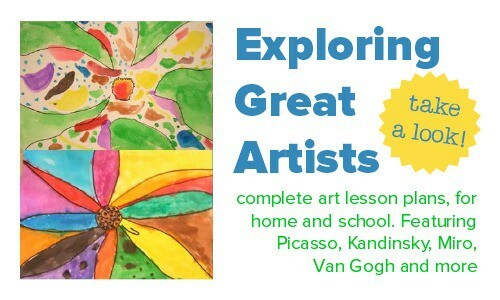 Have you seen our resources for Exploring Great Artists? Each volume gives you everything you need to create your own colorful units to study art at home or at school. See more details here.